A new breed of speed reducer is now available to the market by a Taiwanese company named Prodrives & Motions. 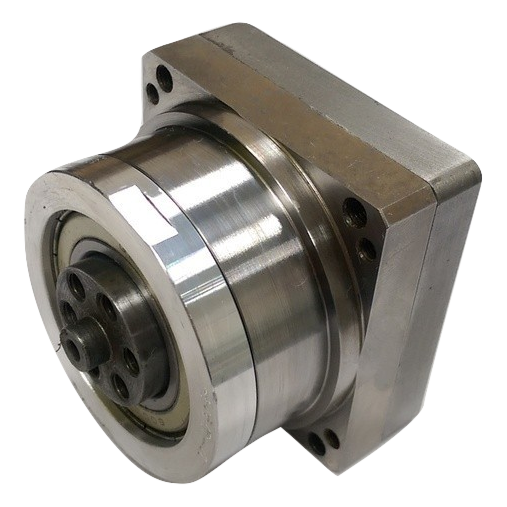 This new speed reducer uses no traditional gears design and it’s not flexible spline like Harmonic Drive® or cycloidal design like Nabtestco RV or Sumitomo. 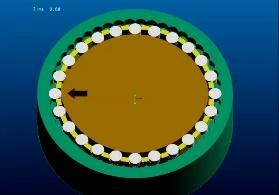 The name of the drive is called OCAM and the structure of OCAM is extremely simple. There are only four key components to make up the drive: input CAM, rollers, output shaft and roller seat. Basically the drive works like a harmonic gear, the most distinctive difference is the flexible spline is now replaced by rollers to generate needed wave motion. Under this wave generator mechanism, additional unique feature is self-locking. Usually self-locking can be achieved by two options: worm gear and electromagnetic brake. OCAM achieves self-locking by the same principle of worm gear, designing lead angle (sliding static friction angle) of contact between roller and cam shaft under 4°. Still OCAM distinguishes itself from worm gear by concentric mechanism while maintaining the necessary lead angle. Because the materials are steel base with hardness HRC 60 and above, OCAM has superior cost, stiffness and durability advantages combining the simplicity of the structure and on top of unique embedded self-locking. Challenges ahead of Prodrives & Motions and their OCAM are tied to the remaining unmentioned back lash (under 5 arc minute), efficiency (under 60%) and noises (under 70 db). Just like all the other players when they first entered market, it will take more patience and efforts for Prodrives & Motions to improve and become one of the few top choices. Although not yet up to speed, there are quite a few applications that are taking full advantage of OCAM and what it offers. Mobile radar needs its self-locking mechanism to secure position during transportation and strong winds while it’s standing and tracking. With its compact size, OCAM is able to offer smaller and yet higher load capacity tilt positioner to application owners and make them excited. For the same reason, all applications that require less weight or smaller size with higher torsional load capability and yet safety brake or self-locking function is extremely important will find OCAM stands out as the best available option. Due to the fact that OCAM is constructed by a single stage speed reduction mechanism and currently can only offer speed reduction ratio between 1:20 and 1:60, another sister drive named FUSION was created by Prodrives & Motions to offer almost same size but multi-stages speed reducer with much higher ratio up to the thousands. It is amazing how it is constructed and once again makes OCAM/FUSION family such unique innovative devices. Prodrives & Motions uses a very interesting example to demonstrate the ability to create high speed reduction ratio within a very compact space. The above 50 Nm load capacity drive comes with 1:5142 speed reduction ratio and overall dimensions fit into a Φ60x26.5 mm boundary. The reason such high reduction ratio can be achieved is because the input CAM can be hollow so additional reduction mechanism is placed inside the hollow space and increases overall ratio without increasing very much overall system dimensions. For the broader use purposes, Prodrives & Motions is now offering a somewhat standard FUSION reducer with 1:300 reduction ratio, 40Nm nominal load capacity, Φ55x28 mm in size, 450g in weight, self-locking and cross roller bearing embedded. 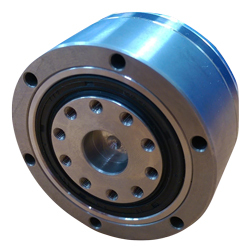 It is a general purpose speed reducer with flexibility to be revised to fit to any specific requirements. There are limited number of free samples offered for benchmark testing. Better hurry before they are all gone. 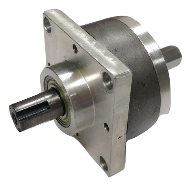 Prodrives & Motions is a motion engineering company dedicated to design and manufacturing of innovative transmission devices that make cost effective, high precision and reliable motions possible. Founders at Prodrives & Motions brought together profound industry experience and expertise to achieve true innovation in motion technology that goes beyond the boundaries of OEM and ODM manufacturing. Our core value is to keep going forward with the collective talents and innovative spirits of our team to achieve leadership role in the motion engineering industry.